Riders are able to privately hire the circuit for maximum track time. Private hire allows the rider to gain confidence in a safe environment, allowing true style and technique to shine through. 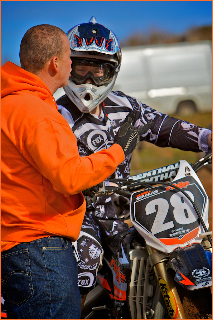 With Rikki's expertise and wisdom, the Academy ensures all levels and ages of riders are covered. Costs for group tuition including private hire of the circuit cost £85. 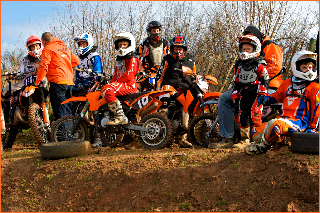 To guarantee optimum attention and coaching, there will be a maximum of 12 riders per group session. Not all circuits I use are listed above. Many more circiuts aound the UK can be arranged. Contact me for more info. Please note circuits in Scotland can also be arranged. By taking one to one tuition, you can be guaranteed 100% attention focused on your own personal development areas. 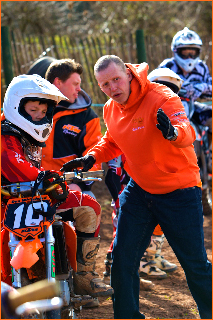 What better way to experience the intense coaching opportunities available to you? Using a one on one session will allow you, as the rider, to achieve your full true potential. A must for all dedicated riders on the journey to achieving your dreams. 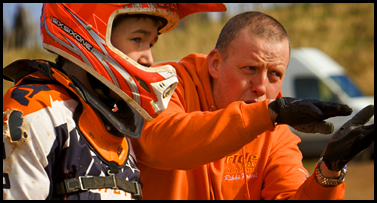 One to one tuition includes bike set up and personal fitness training programs. Cost is just £225 per day inclusive of private circuit hire. As well as the above packages, the Academy also allows you to choose your own package from 1 day per month to 1 day per week. 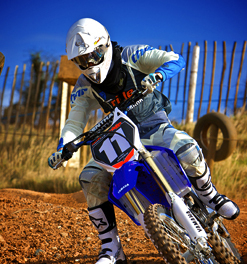 Tailored packages permit the rider to choose circuits to suit yourself. Also, travel to circuits prior to any race meeting you maybe competing in is included. What's more there are discounts available for group bookings, giving you the freedom to choose what size of group and any location you require. Contact me for more info about Training in USA and Europe.